With Baccarat’s Eye Gold Votive Candle Holder, the warmth of flickering candlelight combines with sparkling gold crystal to create a truly enchanting decorative piece. The interplay of exterior horizontal cuts and vertical interior cuts accentuate the candle’s light and give the appearance of hundreds of glimmering stars in the night. Decorated with exterior horizontal cuts and vertical interior cuts. 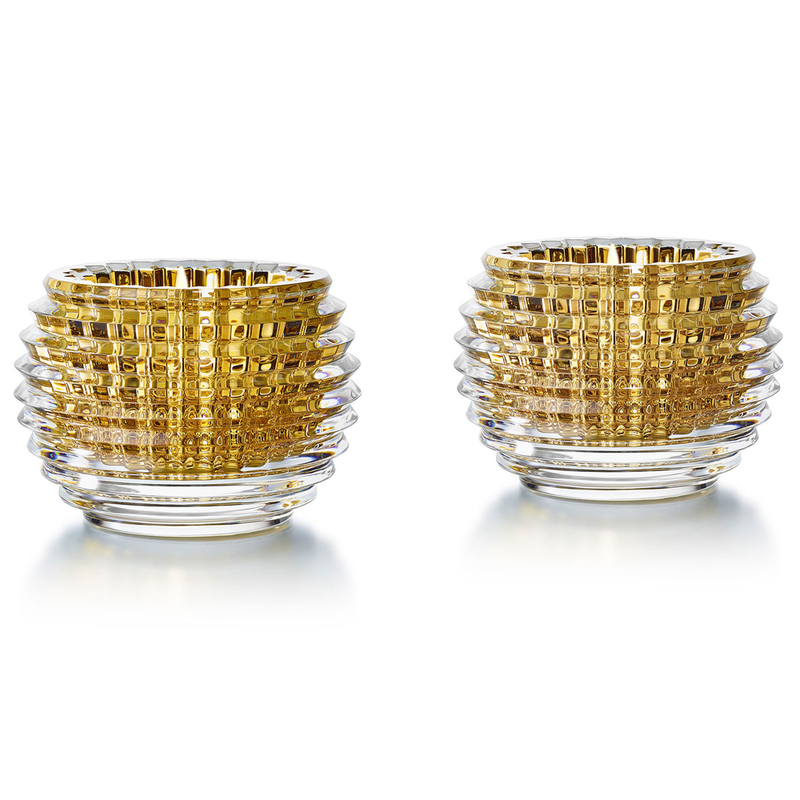 Beautifully presented as a set in a Baccarat gift box.